embarrassed for what is beyond your control. We human beings are social creatures. We're designed to communicate and be socially engaging with members of our species. We thrive off of this basic innate demand, but the degree to which we are able to be social is exclusive to each person. Many factors contribute to a person's desire to be social; one of them predominantly being Lyme Disease. It's really not that uncommon or abnormal for a person who was once very social, to become less socially interactive with their peers after contracting Lyme Disease. Those who were not very social to begin with, may become relatively less social as well. Regardless of how your willingness to participate in a conversation has been effected, there is no denying or concealing the elephant that rests on your shoulders. It's almost impossible to avoid speaking of Lyme Disease when conversing with peers and even strangers because it has become a big part of who you are. Who we are, or our identity, is composed of what we know and what we do. So it's easy to see that a large portion of what we do and know, characteristics we identify ourselves by, is consumed and influenced by Lyme Disease. This reality makes being social difficult as we strive to be who we once were in our presentation to others, but find Lyme Disease yields its truth in almost every word we utter. There is never any need to put on an act for someone else when being confronted about your Lyme Disease. The desire to do so however is unrelenting because the circumstances that Lyme Disease yields for us is nothing to brag about or show for. No person has ever been impressed by a jobless, bed bound person; let alone someone who doesn't meet societal expectations. 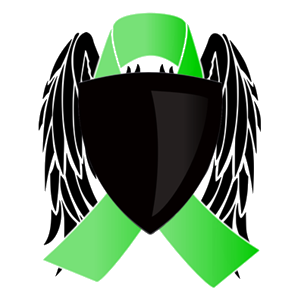 Even bringing forth the addition of having or battling a disease known as Lyme in a conversation, leaves the one we intend to be honest with, confused because of the miseducation of Lyme Disease in society. The thought of even informing a friend or family member of the life being currently led creates dissonance or disagreement of the thoughts. Within the same mind, societal demands weigh heavy, and conflict with the cold, harsh reality of Lyme Disease's affect on one's life. We feel the need to be accepted at all times by our peers regardless of our physical and mental state. So how is one suppose to deal with these two conflicting thoughts? Well we start with what we know to be beautiful and that is truth. The truth of Lyme Disease is that it has hindered and impeded your life. You've accepted that and by influencing any conversion you have with this truth, you reinforce it within your mind. By reinforcing truth within the mind, consonance or agreement is created in it. We start to become more comfortable and accepting of who we are and the circumstances we currently endure. No longer does a silly and foolish desire to be accepted by society interfere or conflict with the reality a person with Lyme Disease faces everyday. A level of contentment and satisfaction with one's self is created within the mind. It's so easy to become offended when your circumstances become the topic of discussion. The reason is understandable and it becomes instinctive to build a wall or defense in order to protect the vulnerability Lyme Disease has granted. Taking offense is more of a conscious decision depending on the perception of our individual realities. We have more control over this option and we can refrain from exploiting it by rationalizing with others. Learning and becoming accepting of how another person perceives our circumstances regardless of how we feel, is a most noble gesture. It takes a lot of self control. Even after we learn the other person's perception of our reality, it need not be an imperative to become offended, though the desire or drive to become is properly fueled. But why not? Well perceive this! Before obtaining Lyme Disease, you certainty weren't aware of the detrimental impact Lyme Disease had on a person you may have conversed with; let alone if they had the strength or courage to inform you of their circumstances. Irritability is completely different from taking umbrage, though the two can occur at the same time. These two powerful feelings of natural defense arise from different levels of consciousness, but regardless of their origins, we can be in full control of their use, if we choose. Lyme induced irritability can even be the accelerator for umbrage so it's important to take control of your state of mind. Be in full understanding of what is or may directly influence your social responses. Irritability is more of an innate response in an attempt to defend insecurities without rationalizing first. Instincts drive this deterring emotion. Even after attempting to reason with another person, irritability may still arise within because of the other person's inability to carry on a rational conversation. The best solution is to accept you've done your best to be convincing and that not everyone is willing to be understanding or reasonable. The acceptance alone should be enough to provide contentment from a distasteful conversation. The expression holds true that though we can't control every situation we face, we certainly have a limitless control on how we respond to it. That control however can only be accessed through personal will and a conscious understanding and acceptance of our state of mind. The circumstances of which Lyme Disease has granted us are the perfect grounds to yearn for sympathy. There is nothing wrong with receiving sympathy for having Lyme Disease or any other time in which it is appropriately needed. We all need it once in a while because we're human and yearn for the assurance that we are still significant in the eyes of our peers. How we go about receiving that sympathy is another story. One should never let the underlying foundation of any conversation be a deliberate attempt to attain sympathy from another. If you don't receive the sympathy you're deliberately trying to attain, you'll only be disappointed in the end. If you do receive it, you'll receive a temporary sympathetic fix, but unfortunately you may be seen as one who merely strives for attention. By being perceived as one who yearns for attention more so rather than commanding understanding , credibility of the disease you carry may dwindle greatly in the eye's of others. Even if the truth of your debilitating state doesn't dwindle, people may tend to avoid you because they don't want be seen as the fix for sympathy junkies. All conversations must be presented with an underlying attempt to educate the other person about your circumstances. Of course the amount of information you'll reasonably present will be dictated within the degree of their interest. When you generate understanding in the minds of your peers, depending on the nature of their compassion, you're more than likely to receive the sympathy we all need once in a while. Just remember that sympathy doesn't completely heal us, education does. Not everyone that has Lyme Disease becomes embarrassed but it's easy to see how one could be. Those that do, find that the degree of embarrassment changes and varies depending on the overall level of acceptance and understanding a peer will have for their condition. The basic idea of having a fellow friend or even a stranger pass judgment is unsettling. Remember that another person's judgement is just a reflection of their perceived reality; a reality for which does not include yours. So how could someone pass judgment when they don't have all the facts and experience? Well they can and will continue to do so, but it should be easy for you to see that their judgment is surely clouded and lacking the honest hell you've come to befriend. The most important thing to remember is to never be embarrassed or ashamed of what you have no control over. Contracting Lyme Disease and its coinfections was never reasonably in your control and provides no solid excuse for embarrassment. We should only feel embarrassed for what lay within out grasp or control; such as our innate ability to devise or find a course of treatment with the intent to heal. If we fail in this task, which many of us do time and time again, embarrassment may actually be a good thing. It'll build character and infuse a new birth of persistence and dedication to rid the malicious infection know as Lyme Disease from the body; though this is never the reason for which we naturally feel embarrassed for in front of our peers. Our embarrassment stems from the simple state of possessing Lyme Disease, and the possible nonacceptance we may receive from relaying that stark reality. Do remind yourself what it is you'll one day be proud of yourself for! You're enduring one of the most relentless, vicious, cruel, and debilitating diseases on the planet. A disease that completely breaks you down mentally, physically, and socially. A state of existence that if it could be harnessed as a method of torture, would be outlawed. The complete deconstruction of our self and the rebuilding of a newly perceived reality. The complete and total disconnection and estrangement from not only society, but the person we once understood ourselves to be. The wake of a beautiful, human strength, that up until now, we didn't know we possessed. The rise of our truest will during such trying and dismantling times. The understanding of forces greater than who we are through the experience known as Lyme Disease. It should now become more apparent why embarrassment is no longer needed. Rome wasn't built in a day and neither will be the presentation of your entire experience with Lyme Disease to a friend, family member or stranger in a five minute conversation. You've been through a lot in regards to Lyme Disease, and summing it up in a short conversation to where the other person could at least be in your desired realm of understanding, is impossible. At the end of any short conversion, or even a long and deep one for that matter, you'll undoubtedly be left with the desirable urge to continue speaking to fill in all the gaps. You'll feel as though you've missed or forgotten parts of your experience and the odds are good you have. But the reality it that there will be voids in your conversations. You'll forget even crucial components, and you may not be able to convince the other person in the manner you had hoped. Accept it for what it is and know that no matter the outcome, it has no lasting affect or influence on your ability to beat and vanquish Lyme Disease. There's nothing truly wrong in taking the initiative in informing a fellow comrade that you in fact have Lyme Disease, possible coinfections, lost your job, dropped out of school, and became a stranger to your friends and family. However, to take the initiative without being forced to bring up your circumstances may shy people away from not just the topic, but the conversation as a whole; depending of course on the amount of information you present, and the manner it's presented in. There are people however who are genuinely and sincerely interested in what it is in fact you've been enduring. They either have a desire to learn and be educated, or they may feel the need to express sympathy, or even empathy! Please them, and, within reason, provide them with the answers you feel will bring understanding to them and reasonable satisfaction to you. You'll find the route for desiring to inform others of your circumstances is acceptable and easiest on you when the other party either initiates and directly asks; or if their words logically deduct to the only possible answer or response from you is being Lyme Disease. And from there, just be honest about your circumstances and true to yourself. It is without speculation or doubt that Lyme Disease has a vicious impact on a person's ego. An ego is typically defined as the significance or self-esteem a person feels about themselves. We are human beings and naturally we want to feel we are of at least some significance in the eyes of society. Unfortunately Lyme Disease plays a critical part in removing most of the significance or worth we felt we had in the eyes of mainstream society. Our ego develops through the environments in which we reside, and in return, we generate a level of self-importance. Since much of the environment that has bred our ego has been taken away due to Lyme Disease, that level of self-importance we felt so comfortable and secure in, has vanished. It's not even uncommon to feel completely worthless when battling Lyme Disease, which is an indicating symptom of a battered ego. When socializing with anyone, our ego has a tendency to rest directly behind the words we speak. The reason is that we have a natural desire to prove to others that we are not worthless, and possess a level of significance. We imagine how others desire to perceive us in their minds, and we try to meet that expectation. Since Lyme Disease has taken away any level of familiar significance of ourselves that we had, we might feel the urge to generate a false ego or a bogus level of significance during our conversations with others. We may even attempt to resurface or recreate the ego we had before Lyme Disease. We've all done it at one point or another; it's just who we are. But even if we manage to successfully convince the other person of our imaginary ego, at the end of the conversation, it leaves us with an uneasy feeling of untruth and false significance. We may possibly end up feeling worse by generating a false ego than had we just been honest in our presentation of our current circumstances in the first place. Now remember, our ego or self-importance is shaped by our environments, and we are never without an environment to become significant in! The cold reality is that one may have lost that level of self-worth one has become so accustomed to. But that isn't to say that one can't feel that way once more in the environment many of us have now become accustomed to. A person can always feel self-important no matter the environment. They just need to find new meaning in their life, and purpose to fulfill no matter how big, small, significant, or insignificant it may be perceived as; let alone does it matter what anyone else thinks. What truly matters is that happiness and satisfaction with one's self is the end result, and such means can surely be achieved without the life we once knew. And know that just by being alive, you are exactly what is expected of yourself by the process by which we came to be. There is no greater, universal self-importance than existence itself. New purposes present themselves whether we are accepting of them or not. An opportunity is always available to create self worth and significance in the eyes of not only out peers, but ourselves. The environment and our peers may not be a constant variable, but neither is our ability to adapt.